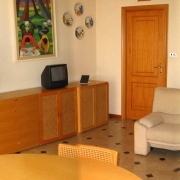 Near the beautiful beaches of Alghero, the B&B is also in an ideal position for the one who doesn't have the car. From 50 metres to the beach, Diving center, school veils and of surf and bathing establishments. 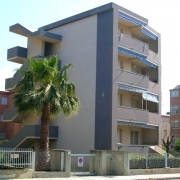 Also from 1 minute from restaurants, pizzerie, gelaterie, pub, supermarkets. From 5 minutes from: train station, stop: bus airport, bus to reach the center of the city (a foot 10 min.) and the near Fertilia (a foot 20 min.). From only 6 Km from the wonderful beaches "Bombarde", "Lazzaretto" Park of Capo Caccia, from Porto Conte e Porto Ferro. 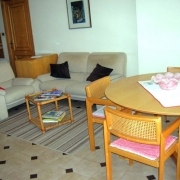 B&B Alghero Dream is found in the most beautiful avenue of the city of Alghero, near the Beach. 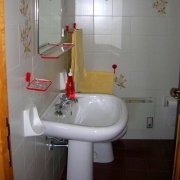 Placed at the 2° floor of a ladylike building, the Bed and Breakfast consists of two comforting double rooms: The first one "Adriana" is a beautiful and ample very bright room, well furnished with closet, heating and TV; the second one "Grazia" is smaller but also very nice, bright and well furnished. The B&B offers also an ample and modern room for the breakfast that can be served at the beautiful terrace during the summer time. The Bed and Breakfast “Alghero Dream" offers quality, kindness and courtesy from ancient Sardinian traditions.